Starbucks–I spent the weekend in Hammond, sort of. A local festival locked up the library last week, so I told BF, “heck with it–I’m headed to Starbucks.” So I did. 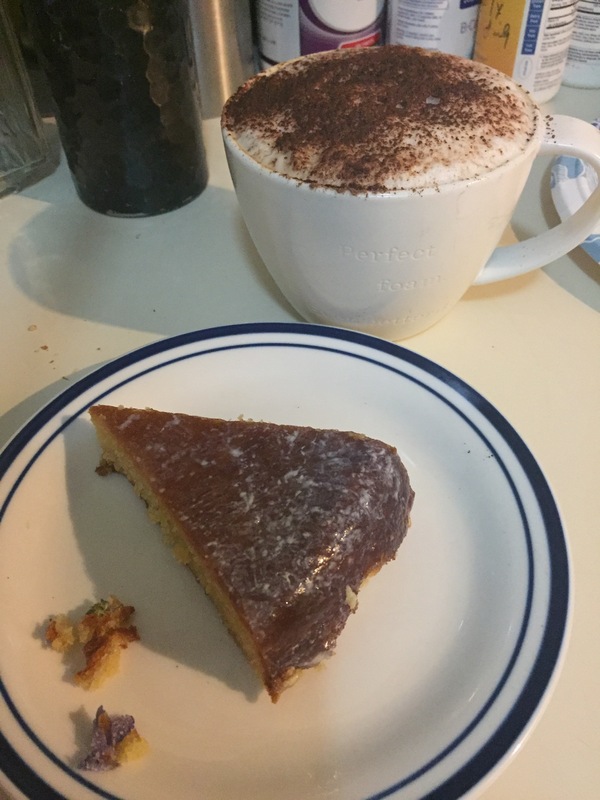 Transferred some money from PayPal into my Starbucks account–yes, you can do that–and while BF worked at his place of business, I worked at Starbucks. Thursday, Friday, Saturday, and a quick stop on Sunday at the Mandeville Starbucks on the way home from Whole Foods for an iced coffee. Let me tell you all about it. We’ll be seeing some new “functional” foods in the US soon, called Freedom Foods. If you’re thinking it’s for patriotic Americans, well. . .think again. It’s an Australian company, and will be distributed in the US by AFT Holdings. They’re a “major player” in the “functional health cereal,” snack and beverage market Down Under, but my guess is that you won’t be getting the same thing you get in Australia–the formulations will be “Americanized.” Just a guess. Ardent Mills is promoting North American-grown quinoa, including products made with quinoa flour: nutrition bars, cereals, chips, gluten-free pastas and other snacks. Can they keep the quinoa from becoming GMO or contaminated with GMO? Part of the appeal is that it’s not grown in the US, so it usually isn’t. Fingers crossed. Less sugar, more starch. . .right. A British ingredient company has a new sweetener called avante that claims to allow bakers to use less sugar in their products. This tapioca-based product, which is being called a “clean, non-GMO starch,” is still going to be a sugar, especially if they continue to reduce the fat content in these sweets. (Diabetics already know this.) But sweets aren’t something we consume every day, right? Right? The local festival used to be at what they call the “fair grounds,” up the street, but now it’s in the street in front of the library. Rides, vendors, etc., like every church fair you’ve ever been to, except in the street. Whatever–all I know is the library was blocked off Thursday, closing early on Friday and closed all day Saturday. I’m back in the library today, getting back into the swing of things. BF has been “having a craving” for crawfish lately, and Friday night he gave in. Took us to one of those places up the street from the library that doesn’t have a website, they just have seafood and laminated menus. Me, I could take it or leave it. . .but a nice plate of steak or chicken fajitas, some good guacamole, pico de gallo, and maybe some crispy corn chips? Oh, out of my way! He bought six pounds of them, a couple of chunks of corn on the cob and a few potatoes, which are traditionally boiled in with the crawfish. We took them home and carefully kept them away from the pit bull on the way in the front door. Admittedly, as indifferent as I was to having crawfish again, they were pretty darn good. We sat at the big dining table with some of those big round trays he keeps for such a purpose and dove in. The cat was very interested in what she was smelling, but when offered a bit, turned her nose up. And the leftover shells and corn cobs? BF put those outside near a huge drainpipe for the night creatures. Next morning it was clean. We have visions of possums and raccoons cheering for such a special meal. But they don’t say much, they just enjoy it. No kidding, I just set up my laptop and stuff, take my black stovepipe coffee mug and walk up to the counter. Since I’ve been in there a lot, and Hammond’s store doesn’t seem to have much turnover, the folks who work there seem to know me when I hit the front door. With earned money on my app, I asked for coffee and one of their breakfast sandwiches. I was hungry, so. . .I had one. (Three, actually, one a day.) That’s not a regular thing, but these were unusual circumstances. I dropped my honey off at his place of employment and hit the road. Hammond is about a 30-minute drive from Casa de Rurale, and I’ll either listen to the radio, stream music or chant for a while. (In Houston, we called that “windshield diamoku.”) Starbucks is kind of my “Hammond Central,” just because I know where it is. I also know where Winn-Dixie, Tuesday Morning, Rouse’s, Harbor Freight Tools, Lowe’s, RaceTrac (subject of an upcoming blog post) and. . .drum roll. . .Walmart is. They’re all up the street from Starbucks! Today my newest client just gave me two more jobs, and I have another article due next week for the natural health folks. That article is going to spawn a blog post here, BF will be treated to some new food, and possibly another taste-tester or two. I’ll have a backlink for you to read the client article in the blog post, too–but I haven’t finished the article nor the work for the blog post yet. That baking may be this week or at the weekend, so keep your fingers crossed for that one. I got some coffee and a breakfast sandwich, and got to it. I finished up the last article for my natural health client first, and sent it off to them. They’ve accepted it, and I’ve been paid for it. After a message exchange, I asked about the next one. Checking my milestones, I realized that the next the next article was due on the 29th, and another April 4th, I think. But my newest client’s work work was due sooner. She was supposed to send it, but I hadn’t heard from her, so I checked in. Whoops! Someone slipped up, it was late, and she sent it shortly thereafter. With a free refill on the decaf I put down the next article that I’ve already started, got right on her web copy re-write. Then there is what they call a “Star Dash”–a period of time where you buy or do certain things or make a certain number of purchases–and you receive a sum of “bonus stars” (points) in return. Sometimes it’s using their mobile ordering app, which I’ve done. Sometimes it’s getting a breakfast sandwich, a certain type of coffee (i.e., a Flat White) and a dessert item, either separately or together, for those stars. But this particular time, it was from March 14 through March 20. If you make 5 separate purchases, no matter the dollar amount, you would receive 75 bonus stars, in addition to the stars you already receive by the actual purchase (say, 10 stars.) If you make 7 purchases, you would receive 200 bonus stars. These stars also count towards the continuation of your “gold” status for another year. If you went into Starbucks every day for a coffee, as many Americans do, you would probably reach 125 stars, after spending $62.50. That’s how much you spend normally to reach 125 stars and get a free thing. But if you hit one of the star dashes, well, that goes up quick. I already had a free thing from a previous promotion, and I used it last week. But I still managed to rack up the 200 bonus points. There was the coffee and breakfast sandwich first thing, and then free refills as long as I was there. But woman does not live on free coffee alone. And dinner was hours away, after BF got off work. We did have one day of CrockPot dinner. There was also a leftover night and Pizza Waffles on the Griddler. But in between, I did some investigation on what was available. In addition to the breakfast sandwiches, which are *not* gluten free, they have panini, but no sandwiches or salads. Pass. And of course, they have the cake pops, cookies, muffins and other baked goods available in the case, but I decided to go out of the case and try something new. No frosting, no fancy design, just a cute little round. What do they taste like? These really are good–sweet but not *too* sweet. They’re about $3 a packet, so I wouldn’t be doing these daily. (Remember this was kind of unusual.) But they’re a pretty good thing to have with afternoon coffee. They’re good, but I prefer the chocolate version. Same as the chocolate one, only lighter. Emmy’s Organics makes a variety of flavors, available on their website, of these coconut cookies. You can read more about Ian and Samantha’s little company here, how they got started and how they’ve grown. So what else did you find? They’re non-GMO and gluten free, but what’s in them? Tread carefully, since these are high in carbs. I didn’t try these because I found the coconut cookies, but I might have. I was thinking about it, anyway. Gluten free, grass fed beef, but I don’t know what that flavoring is. I didn’t ask the price for these, either, but I should have. Next time. Spring coffees, new cups and new stuff! They don’t sell soft drinks, but some of these specialty beverages are every bit as sugary. So after all that, I found myself with 304 points, which meant two free things. Yesterday I headed to Mandeville for my district meeting, and after a quick forage in Whole Foods, I hit the Starbucks across the street. I was really, really hoping they had salads, but no. It’s warmed up again here, so I decided on a large, fancy iced coffee. 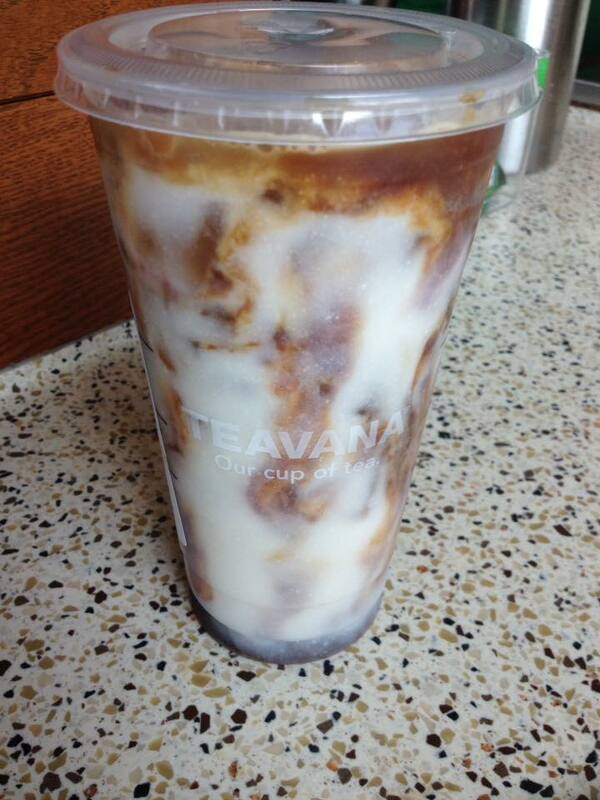 The Iced Cinnamon Almond Milk Macchiato looked good to me, and it was–mostly. Yes, that’s the way it was handed to me. I asked for decaf *and* sugar free syrup, so I guess it was not exactly to spec. I added a packet of pink and it was still a bit strong, so I added some half & half. Now it was perfect! I put it in the cup holder and headed back to the Casa. It was a pretty good day. OK, so, I know the GER is reading this and gritting his teeth, wondering why I keep going in there. And there’s probably one or two other readers who don’t agree with me on going in. First, well, it’s the best place to go in these parts and get as much free coffee as they’ve given me. And they do a lot of good. There’s a rumor that has been around for many years that says “Starbucks doesn’t support our troops.” True, they do have their political leanings, but they also do a lot of good. Not everyone can get hired on, but there are good benefits for people who do. But for our military folk, Starbucks does step up to the plate. The story is here on their website, how how it all went down with a U.S. Marine. Starbucks has facilities all over the world, including military bases. They’ve made the goal to hire more vets and vet spouses. And they deliver coffee to service members overseas. Yes, I remember #RaceMatters, and the blowback they got for it. Nobody’s perfect. And I know about their preferences in states with concealed carry. But it’s still a nice little place to go sometimes. The people who actually work in the Hammond store are pretty darn nice, and are happy to make my decaf. So are the customers. I had mostly the same experience in Houston, except for that one down in the Tunnel. You meet some nice folks in Starbucks. My friend BS, who left Boeing to move back to New Mexico about ten years ago, met his wife in there not long after he moved there. They’ve been married for, what–eight years now? Maybe not that long. I’m not looking for another boyfriend, of course, but I’ve talked to some really nice folks in there. There’s one man I see frequently who’s polite, and in between projects, we talk about stuff sometimes. I still miss my HEB, and the Starbucks on my Street, and of course, my friends. I know some people here, and just accepted a friend request from a lady who is leaving the library for a better job on Friday. I finally got a rack for my kitchen stuff, and unpacked a bunch more boxes yesterday. BF gave me some help moving things around after I got all that taken care of, and we are both sore today. I’ll take a couple of pictures when I get it all finished. I’m getting used to things, I guess. We realized the other day that it’s been six months since BF drove to Houston for a “rescue mission.” It’s not always smooth sailing, but we’re getting there. And the garden will be happening soon–the citrus trees have lots and lots of buds on them. Meantime, I’m back writing for clients, and hanging out at the local library. It’s kind of nice to get out of the local vibe and hit Starbucks sometimes, or go work on a Sunday because I can get ahead on things. I’ve got more stuff coming, so stay tuned. Slow Cooking–great all year long! Well, I’m back again with more slow cooking. Recently, I was introduced (online) to a lady who is a pro at the slow cooking thing. She’s written books and has blogged about it for many years. And I just found her. She’s going to help us with our holiday dinners! But first, a lesson in irony. This was, of course, in the ladies room after a tanker full of coffee (free refills with your Starbucks card!) If you’re not seeing it, allow me to explain: the sign is an instruction on how to wash your hands. In it, you are told to dry off your hands with a paper towel, then use said paper towel to turn off the water when you’re done. In the sticker on the hot-air hand dryer, you are told about the energy efficiency of using the hand dryer. It eliminates the paper towel, but gives you nothing to turn off the faucet (or open the door to leave) with to protect your freshly-washed hands from someone else’s hand germs. Does no one think about this? Louisiana is the only state I’ve ever been in that posts hand-washing instructions in the bathrooms, nearly everywhere. I never saw those in 18 years in Texas. Draw your own conclusions. That’s right. A Texas flag. Funny how you don’t notice them until you don’t see them anymore. (The sign underneath is a WWIIposter that says “Sew for Victory.”) There will be more of them, if for no other reason, to use up the stars. But BF has been told that when the day comes that he puts up an American Flag on the property, as many neighbors have, there *will* be a Texas flag flying next to it. And if the Texit business happens, I do hope they take Louisiana with it so we can have more great barbecue! Lavender–good for evening showers to help you sleep. I have no idea what “African Black Soap” is, but maybe one day I’ll give it a try. Long as it doesn’t paint me. Yes, these are pricey, but handcrafted artisan items usually are. (You can also order them online.) Mr. Terry doesn’t have the manufacturing muscle of Proctor & Gamble, and he uses natural ingredients without harsh chemicals. (I used to buy some very nice soaps from a lady at the farmer’s market in Nassau Bay on occasion, too.) Plus, they’re very big bars. My thinking is to cut them into one or two smaller bars to make them easier to handle and last a while. I’ll get some one day soon. I do like to shop local when I can, and patronize local businesses. I can’t possibly use that to wash my hands now. . . .
How did this happen? I mean, wasn’t it Turkey Day just a week or two ago? Carols have been playing nearly everywhere I go. . .that stuff has been out in Walmart for weeks. . .yesterday I told BF I wanted an Easy-Bake Oven for Christmas, ha, ha. Being the smart aleck he is, he might just get me one–but where do you get the refill packages for it? I’ve never seen them, but I guess because I don’t have to. The A/C was running, for we live in the South. Yep. We’re waiting to see how Mother Nature treats us this year. It was quite warm last year, and I was in shorts Christmas Day. Nothing says “Merry Christmas” like icy cold watermelon chunks. That could be the case this year, even though we’ve been shivering cold for quite some time–and so have my friends in Houston, too. Let’s get serious with our slow cookers, shall we? Longtime readers know about my affinity for slow cooking, and my more recent affinity for the waffle maker. Last weekend I used my Cuisinart Griddler not for waffling, but for making BF some pancakes. I used the flat griddle plate to make them right on the counter top. (I still haven’t replaced the drip tray, but we weren’t making bacon or anything that required it.) He got the biggest kick out of it–“you and your gadgets!” he said. Look at it this way: I didn’t have to turn on the stove for a little bit of cooking. Yesterday was a 2 pound pork loin roast slow cooked with some olive oil and Italian seasoning. BF ate that right up with some baked sweet potato fries. That’s the thing about the slow cooker–you really do just set it and forget it. It takes some advance planning, but so does cooking a standard meal. The other day I put two turkey thighs in BF’s 4 quart slow-cooker, and dinner was done when we got home. Added some Waffled Hash Browns, which took about 15 minutes to create, and we had. . .meat and potatoes, ready to have in less than 30 minutes. Then I got ahead of the game by slow cooking. I also started cooking the next day’s meal that night, before we sat down to the turkey and hash browns. There is a back-story to this. Recently I was introduced, on Facebook, to a lady named Stephanie O’Dea, who is the author of a number of books and a blog called A Year of Slow Cooking. I write a food blog, and would cook every day in the slow cooker if I could. . .how did I miss this? Apparently Mrs. O’Dea decided she would be slow cooking every day for a year, and blogged about it. She’s since written several books on the subject, and has more slow cookers than we do at Casa de Rurale. So I eagerly signed up for her emails, and read them. This lady goes all out, OK? The other day, she sent one about making tamales in the slow cooker. I’ll try that one day, too, when we’re in the mood for Mexican food. But the one that caught my eye was the Crock Pot 16-Bean Soup Recipe. Mrs. O’Dea admits to being somewhat lackadaisical towards many things. . .OK, she’s lazy. I have walked by the bags of soup mix in the grocery store a hundred million times. I’ve even picked one up, read the print on the bag, and taken it for a ride in the shopping cart. But then I chicken out and put it back on the shelf with it’s friends. It just seemed like a lot of work. I, um, actually don’t really enjoy work. I’d really like a house full of forest creatures like in Snow White or in Enchanted to come do it all for me so I can spin around in circles singing. But it’s a nice dream, nonetheless. We all think like this from time to time, right? Well, after reading this email, I had some time before I had to pick up BF, so I stopped at HEB. . .I mean, Walmart. . .on the way home and picked up a few ingredients I needed. Unfortunately, this is Louisiana, so we only get 15 beans, not 16 beans in our soup packages. (I miss my HEB.) I take what I can get, check out, and head home to the Casa. And I started cooking tomorrow’s dinner! When I picked up BF later that evening, I told him, “I am on it.” He gave me that cute look of quizzical confusion that he often does, and I explained myself. I saw this email, and I acted on it! The turkey thighs were ready when we got home, but the soup would cook all night, and he could have some to take to work the next day. Thumbs up on this one. . .but no pictures this time. I did as she instructs, tossed out that chemical “flavoring packet,” (no need to tell me twice) and altered it slightly. No tomatoes, BF has a problem with them sometimes. Beef stock and water from the pantry, and an inexpensive one-pound packet of cubed ham from the meat case. Boiled the beans and let them sit for an hour, and then started loading up the 6-quart slow cooker. This soup smells wonderful while it cooks. The soup was slow-cooking all night, and we really enjoyed it the next day. BF became “all beaned out,” so I froze the rest for another day. This soup is highly recommended. Slow cooking it makes it really easy. Check out the recipe and the “customizations” for making it yours. Yum. Slow cooking a full holiday meal? Absolutely–Mrs. O’Dea has you covered! Check out this Christmas Ham in the Slow Cooker with honey and ginger. Ham not your style? Heck, she’s got a myriad of slow cooker recipes for the holidays parked right here on this page. Need an extra slow cooker? Borrow one a day or two before if you’re afraid of going out to the mall this holiday season like I was in Houston. If you haven’t planned anything yet, well, better get a move on! Both links have recipes suitable for holiday gatherings, but you have to plan ahead. Please note that despite the fancy fixtures that come attached to modern slow cookers, they are not essential. 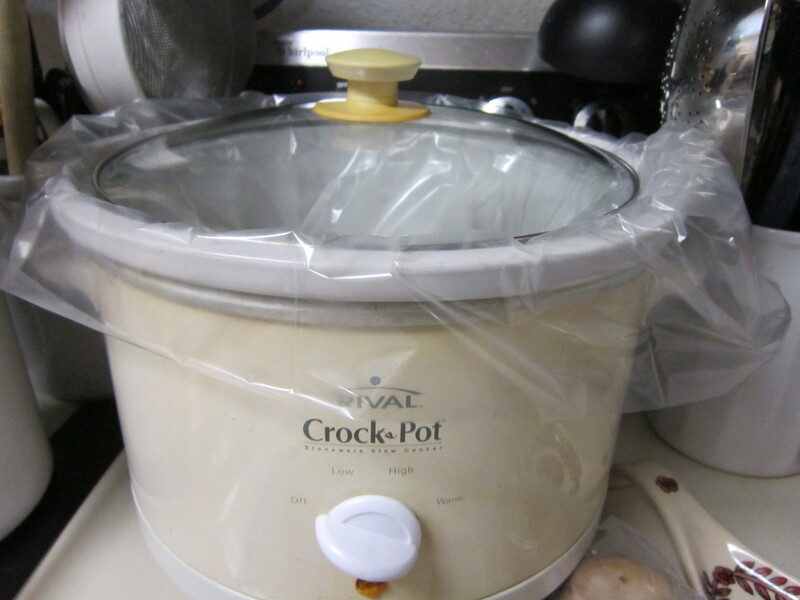 Last time, I told you about the web-enabled model with the smartphone app from CrockPot. I don’t have one of those, nor the one where you can brown and bake before the slow cooking. Mine are 13-year-old Crock Pots bought in 2003 or 2004 at Big Lots in Texas before I moved out of the GER’s house. I also have a “little dipper” I bought to get the cooking smells out of the kitchen. BF’s is a Hamilton Beach 4 quart, just like my Crock Pot. I refer to them as “dumb terminal models,” because you control them from the little knob on the front after you plug them in. (Eight years in IT, I know stuff like this.) I know, I know, there are slow cooking marvels with all kinds of bells & whistles and apps and all that. You do not NEED it. If you spend that much on a slow cooker, that’s less you can spend on food. Your choice. Wrangling the whole thing together. The best advice I’ve ever heard for planning any kind of special occasion was from The Barefoot Contessa in Foolproof. Write it all down, figure out how long everything will take to make, create a schedule and work backwards. In other words, if your turkey will take 4 hours, and dinner is at 5:00 pm, you put it in the oven about 1:00 pm, making sure your oven is at the temperature you need (usually 350F.) Potatoes will take an hour, so those go into the oven about 4:00 pm–and at 350F, you can easily bake them at the same time on a different rack. I mean, why not? And you can always drop the potatoes in your CrockPot, right? Slow cooking can indeed help with Christmas dinner as well as parties and other celebrations. What’s on the HeatCageKitchen menu for Christmas? Well, nothing yet, but there likely is going to be some slow cooking going on. Especially if I don’t make much. BF mentioned the other night that he wanted to have ham for Christmas. I wouldn’t mind if it was *this* ham, but he says he wants it “baked.” How is this not baked if it’s slow cooking at 300F or 350F for several hours? If he wants something with Coke and sugar all over it, or requires the use of any kind of “enclosed packet,” I’m roasting a Lemon Chicken for myself. And I’m not doing *everything* I did for Turkey Day, although I wouldn’t mind making those Perfect Mashed Potatoes again. But we haven’t heard from the kids, nor anyone else, so it might just be the two of us with the critters. But whatever we do, there’s a good chance a slow cooker’s going to be involved. And there’s a good chance that something will be waffled. Remember too that there are recipes posted on this page. Most are favorites that I’ve tried many times, and that may be just what you’re looking for, including some slow cooking, too. And if you’re not hosting. . . .
Are you going to someone’s house for Christmas lunch/dinner? Bring something tasty and delicious, whether you’re slow cooking or not. A Year of Slow Cooking is a great place to start, as is Pinterest. And if it’s looking like you’re going to be home alone on Christmas, as I was for many years, enjoy it. Enjoy the peace and solitude, watch whatever TV shows you want, (I highly recommend British TV, especially a comedy if you can find some, turn on the CC,), enjoy the best meal you can cook up, and don’t feel “alone.” Slow cooking something delicious will free you up to watch your favorite holiday DVDs, listen to your favorite music, and spend time with yourself. There are folks who will be working on Christmas and would be happy to be home. Many are first responders (fire, police, medical personnel, etc.) so please don’t make their job harder. It’s OK to be alone on Christmas. If you’re really not happy about the holidays (there are more than one) remember that Christmas comes but once a year. . .and in a week or so, it will all be over. No more carols blaring from the PA system everywhere you go. No more drunks wishing you a “Cherry Mistmas.” No more red and green everything. Come January 2nd, the trees will be heading to the recycling bin, the lights will come down, and people will start packing stuff up to put away for another year. Some might not finish until March, but you get the idea. I’m probably not going to publish a post again until after Christmas, so I will wish all of you Happy Holidays, whatever holiday you want to celebrate. (Hey–if there’s food involved, there’s a good chance I’ll be celebrating it, no matter what religion it’s from.) Whatever it is you like to cook, make it tasty, healthy, and make enough for everybody, OK? There’s a good chance I’ll be in the back doing some sewing while I’m doing some slow cooking. Well, I finally did it and tried out the new Starbucks Evenings Menu at a nearby Starbucks. (The one on my street isn’t yet up and running with it, so I went to the one across the street from Ellington Field.) What did I have? 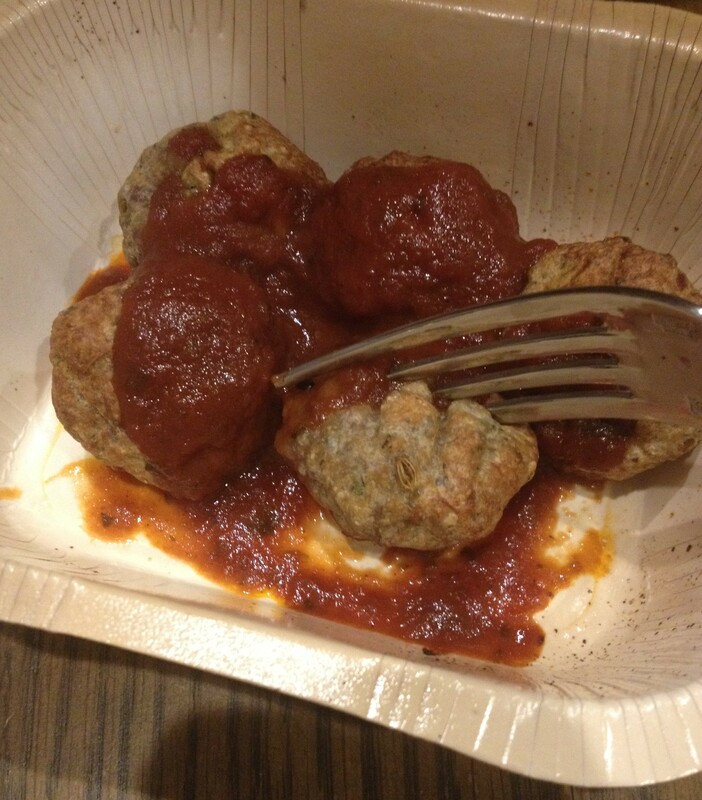 Meatballs! Why meatballs? Heck, I don’t know, I had to think fast when I ordered. I had to first head to Jiffy Lube for a Texas state inspection. After that I was on my own. Let me back up a little. . .first of all, I had a coupon. No kidding, a few weeks ago, after getting a coffee one morning, I was given a coupon to try one of their Evening menu items for $2.50. Then I lost it. I cleared out my purse, and found it. Hot dawg! Well, no, it was meatballs, so let me tell you about it. Neighbor R also generously gave me another gift card recently. Coupled with the coupon, it was a nice treat. I’ve mentioned the Evenings menu before, and you can see the menu here. Everything that’s currently being offered is shown, including the wine list. (You’ll have to enlarge it and wait for a few minutes, or download it and pull it up in Adobe Reader.) While I was there, a couple of other customers were also having something. When I was leaving, one gentleman had a glass of red wine with what looked like a small quiche (but I didn’t ask or take pictures.) The wine was served in a stemless glass with a small bowl of toasted pumpkin seeds in the top. The nut bowl served as a”cover” on the wineglass on the way to the table. Nice! I didn’t take that picture either. Maybe next time. He was really nice, apologized and offered to get me a plate. Nah–this was fine. However he did bring me a very nice stainless steel fork to enjoy them with. So what did I get in the little box? Five meatballs. About the size of golf balls. In a tangy sauce that’s slightly on the side of barbecue but not entirely. (The little round white dish would have made a better picture, I know.) However. . . . Understand that the Starbucks Evenings menu is not intended to be a full meal, like their Bistro Boxes or breakfast sandwiches. These are small plates of savory evening meals, similar to ordering an appetizer in your favorite restaurant. And, to be honest, I was not disappointed, either. They’re made with a mix of ground beef and Italian sausage, and not spicy hot. The outside was a tiny bit dry, and takes a bit of force to stick the fork into, but not bad. Once you tear it open, it’s fine. And the fork was stainless steel, not plastic. If you’re in downtown Houston where I was a couple of years ago, you could duck down to one of the two or three Starbucks around for some food and work later until you’re ready to leave. Maybe you’re meeting friends or clients after work. You’re a little hungry, but not for a full meal. It’s an idea. But let’s turn it up a little. Live in Texas? You might find yourself in a horrendous traffic jam on the freeway, and you see a bunch first responders rushing to the scene on the shoulder of the road. (That actually happened to me many when I headed to Beaumont one day for shopping; I was on I-10 so long I was doing yoga stretches on the freeway after 3 hours of being parked.) You know what that means. Hop off at the next exit and wait it out at Starbucks with a small plate, some iced tea, your laptop, tablet and/or smartphone. (Make sure to call home and let someone know where you are.) You might listen to the radio or check the traffic before you leave your office and discover that you’re about to head into it. That alternate route is going to take longer than your normal route, and you’re hungry as it is. Or, as one of my friends experienced many years ago, you’re in the middle of a kitchen renovation, (or heaven help you, damage of some kind) and you can’t get in there to cook for a few days (or weeks.) There are any number of reasons to keep the Starbucks Evenings Menu in your back pocket for the day you might need it. Or–I just thought of this–if you are single and of the ingenious variety, and didn’t feel like cooking that night, one order of these meatballs with some pasta you boil and drain at home might not be a bad thing. Just order them through the drive-through. It’s sort of “home cooked,” right? Your call. Amy’s Note of Caution: since I don’t drink if I even think I have to drive. . .use your own discretion on trying wine or beer in Starbucks. I am not suggesting anyone drink and get behind the wheel of a car, but I know there are those who may be able to handle a single glass of wine with food and drive without a problem. Not everyone can. If you can walk home, that’s a good thing (but probably not alone.) I err on the side of caution and only drink at home, or where I will not have to drive or be with anyone who has been drinking. Just be safe, that’s all I’m asking. Of course, if you’re not interested in the Evenings menu, but you just want some food, you can always ask if they have any breakfast sandwiches left from the morning. Yes, I’ve done it on occasion, particularly one with a croissant bun, and even later in the evening. Sometimes they have them, sometimes they don’t, but all they can do is tell you no, so ask. It’s a bit unusual, to have a light dinner at Starbucks–but why not? The nice barista who waited on me said that they have been selling quite a bit of the Evenings menu selections, but their biggest seller is, of course, coffee. Remember that a plate of meatballs or a flatbread could be the thing that stands between you and starvation after work one day, too. It’s considered a “lunch item,” but I found it after 6:00 pm. Interesting, no? (I put it on the table to get a better picture.) It does have wheat and soy, darnit. I know, I know, I go on about Starbucks too much. I need to get a life, too. But with so many tasty things available, I feel the need to try as many as I can. Then again, I remember that Ree Drummond, The Pioneer Woman, would love to have a Starbucks on her street. . .but I don’t think they’re expanding into Pawhuska, Oklahoma. Yet. Ree laments about missing Starbucks at home on the ranch, but she and husband Ladd are restoring an old building in downtown Pawhuska. Hmm. I wonder if she’s going to get Starbucks to go there? Oh, that would be interesting! Ree would be blogging about that daily. Starbucks is also a good company. They give back to their communities, their employees, and also to veterans. If you’ve heard the repeated urban legend that “Starbucks hates our troops,” click here to read how that got started and how they worked to right it. Much like the old Proctor & Gamble rumor about the logo containing satanic images, urban legends like these take on a life of their own, especially now with social media. Starbucks is a socially conscious company that also works to do good in the world. OK, enough of that. No, this is not a sponsored post. I wish! Just checked my email, and there’s yet another offer for bonus stars for cardholders who buy a Carmelized Honey Latte from March 29th through April 4th. Um, pass. . .that sounds too much like the exalted Pumpkin Spice Latte. No, I’d do it if it were my favorite Molten Chocolate Latte (description here) but that’s gone away for a while. May have to learn to make it myself one day. . .but I’ll pass on the new one, especially since my Starbucks has a sticker on the outdoor menu saying that they’re “sold out” of the Honey Latte. But if you’re a Starbucks fan, and you’re bored or something, head to a Starbucks that serves the Evenings Menu and give it a try. You might find a new favorite.